Staying hydrated is so important in the summer, especially if you spend lots of time outdoors sweating, but plain water gets boring and store bought soft drinks and other beverages are full of sugar and other unhealthy ingredients and can be expensive. Why not brew your own tea this summer using herbs and edible flowers? It couldn't be easier! My favorite tea blend right now is chocolate mint & vanilla bean with honey, but the combinations you can create are endless! 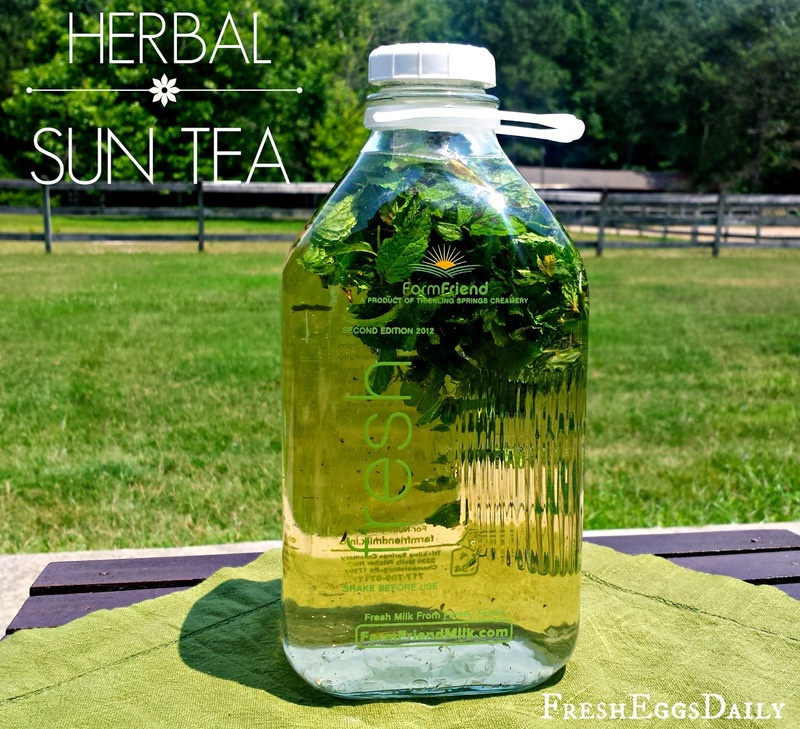 You can even make individual mason jars full of sun tea, each tailored to a specific family member's taste! 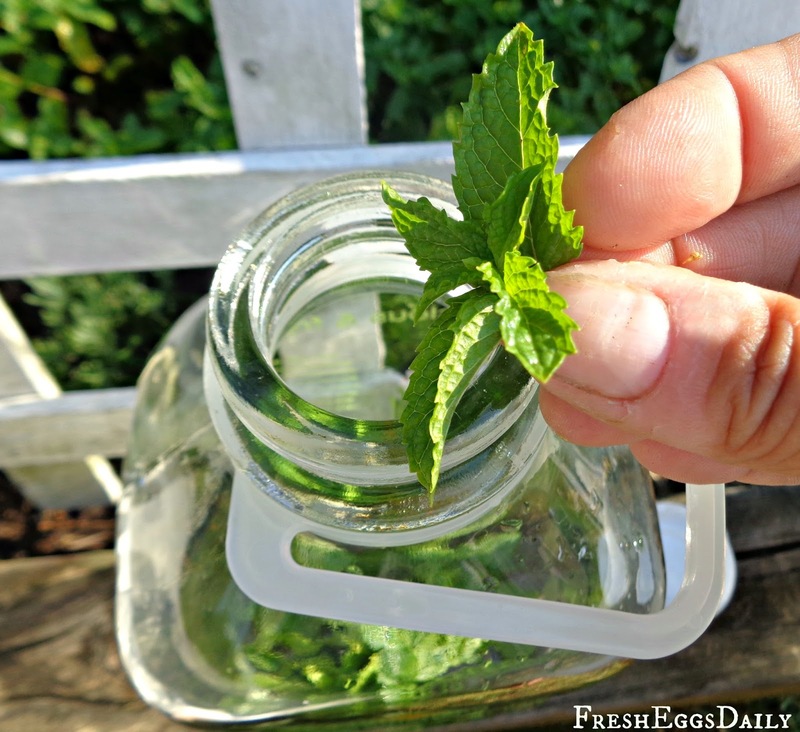 I fill my jars about a quarter full with herbs/add-ins then fill to the top with water. Add a generous handful of clean fresh herbs or edible flowers (and citrus, berries, sweetener, etc. if desired) to your jar. 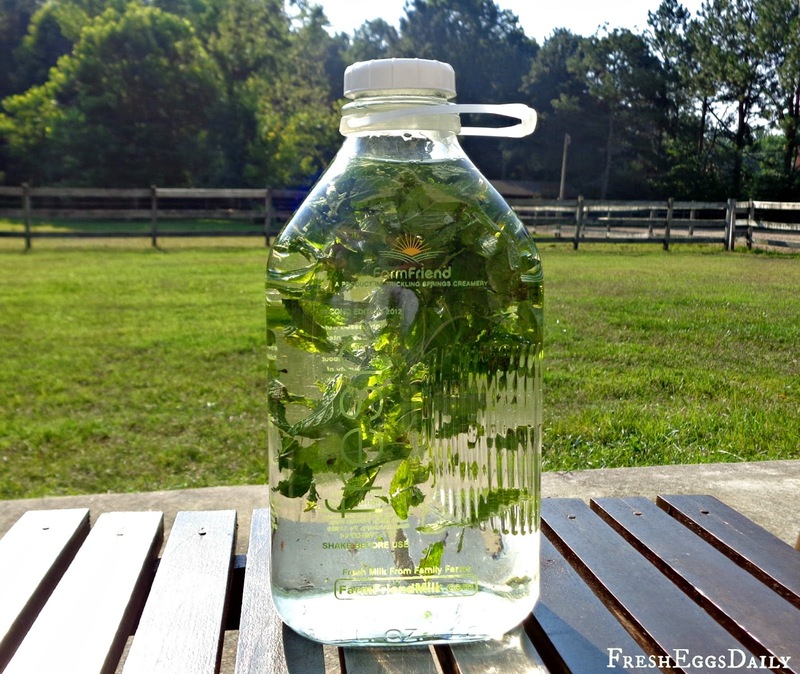 Fill with water to completely cover the herbs. Cover, shake to mix well and set in the sun - even a sunny windowsill works - for 5 to 6 hours. When your tea has achieved the desired color, strain out the solids (your chickens will love them! ), pour the liquid into a pitcher and chill. 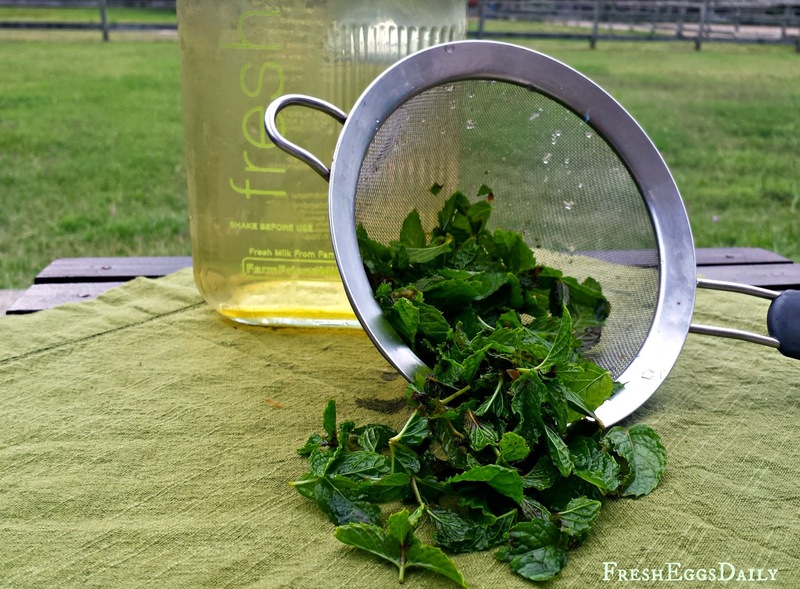 If you're in a hurry, you can also brew herbal tea right in your coffee maker [read how here], but for a true 'summer experience', you've got to use the sun! For a list of some of the most common culinary herbs and their health benefits, click HERE. Feel free to mix and match from these lists to create your own 'signature' herbal tea blend. 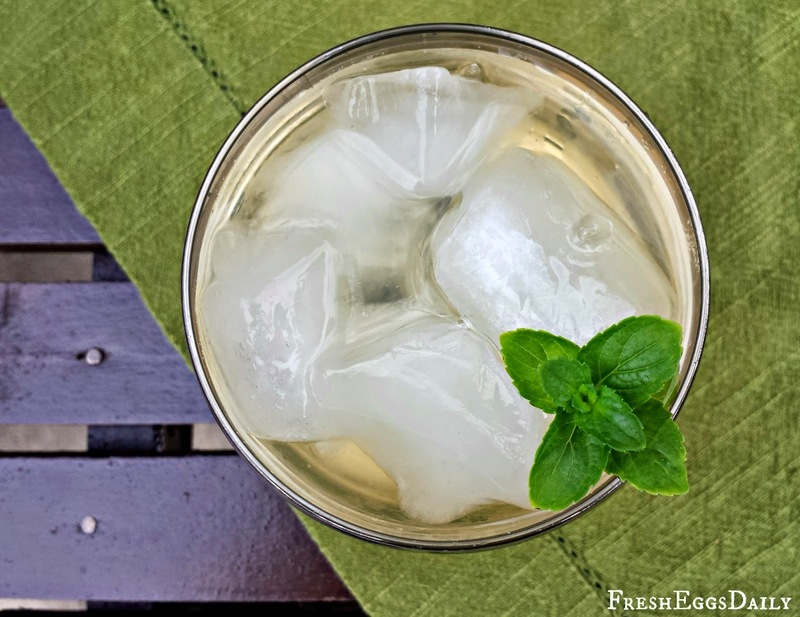 So brew yourself some refreshing, nutritious herbal tea this summer. And please let me know what your favorite tea or tea blend is. I would love to discover some new ones to try!